Good Morning – I’m Stephen Woessner, CEO of Predictive ROI and host of Onward Nation. And welcome to Episode 710 – this week’s solocast. Well, this is a solocast with a twist. If you have been listening to Onward Nation for a while now – you know that sometimes I take an interview where I was a guest on someone else’s show – and we essentially re-air it during my solocast. I do this from time-to-time for several reasons. First…doing this is an excellent opportunity for you to hear me in the hot seat per se. Someone gets to fire questions my way – and in the process – I get to share perspectives, insights, opinions, or strategies that I might not normally think to share during an interview with one of our Onward Nation or one of my solocasts. Second…by doing this I am able to introduce you to another host who I think has some chops – someone who has an interesting point-of-view – or someone who I enjoyed talking with. Which is definitely the case with Stephanie Scheller. Stephanie and I met through an introduction from Dave Denniston – and Dave was my awesome guest on Episode 244 of Onward Nation. Following Dave’s intro – Stephanie invited me to be a guest for her YouTube series. I said yes, for a couple reasons. One – I knew it would be a lot of fun and I am always game to talk with someone about building and scaling a business. Two – I knew it was going to be a video interview, and like I shared a couple months ago, being excellent on YouTube this year as a company is one of our vital priorities for 2018 – so the interview would be another asset that would help us do that. 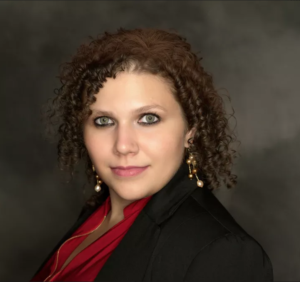 What I enjoyed about my time with Stephanie is that she asked great questions about my story, how Predictive ROI landed on and decided to go deep in all things voice and video to help our clients win, and we even dug into trends behind podcasts…and whether or not it was getting harder and harder to stand out. 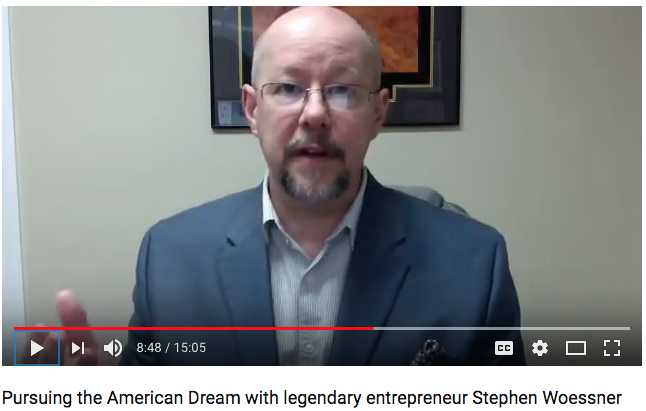 I shared my insights from the perspective of someone who has owned five companies – and – interviewed nearly 1,000 of today’s top business owners – and hopefully Stephanie’s audience found the strategies and recommendations helpful. So for today’s solocast – I wanted to share the conversation I had with Stephanie…with you…because there may be a nugget or two in there that could be helpful in your business. And lastly, the reason I wanted to share this interview today is because it is another tangible example of how one piece of content can be transformed into another piece of content pretty easily. Stephanie and I connected on Zoom and recorded a video interview. She then posted the content to her YouTube channel and shared it with her community. Then Dallas Hendrickson on my Predictive ROI team, grabbed the video file and stripped out the audio portion of the file, and now we are going to re-air the audio within the middle portion of this episode of Onward Nation. All I am doing right now is giving you an introduction so you have context as to why – instead of just jumping into the interview with Stephanie and it potentially being confusing. In addition, we will likely transform the interview with Stephanie into a blog post, social media posts, a LinkedIn article, and it will become a feature in our weekly email. And you have similar opportunities with the cornerstone content you create – or could create – on a daily basis. You don’t need to create everything from scratch – it doesn’t have to be perfect – but it does need to be helpful to your audience. If you focus on being helpful, being generous with your expertise, and meeting your clients and prospects where they need you – then you will be successful in building your own nation of true fans and growing your business. So ultimately, I wanted to share this interview with you as a tangible example – a recipe – that you could take and implement into your own biz dev strategy. Go here for the video interview with Stephanie. I hope you find what I shared with Stephanie to be helpful. Especially in the areas of voice and video – how they are growing – and why I believe so strongly that you, too, need to be there as part of your biz dev strategy. There is so much happening right now with voice that it is becoming difficult to keep up with. 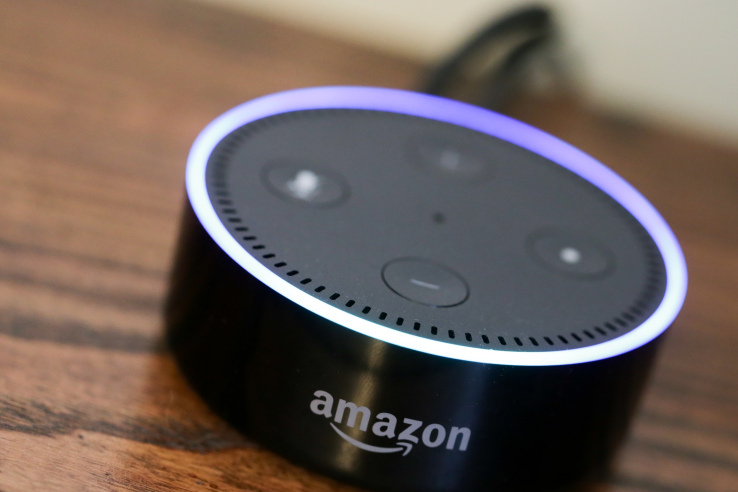 All of a sudden, my Predictive ROI team is building Alexa Skills and Flash Briefings that are connected back into the podcast content for clients, and all of that is tied into a product or service rollout. My mind starts racing with all the possibilities. Wow. So if you want an overview of how voice is changing the game of biz dev, I encourage you to go back to last week’s solocast, Episode 705, where I break down some of the latest tech and trends. And more importantly – how you can drive your business forward if you begin taking action on these opportunities. So with that said…I want to say thank you, Onward Nation. Thank you for taking time to be here – thank you for sharing your feedback, opinions, and insights with us for over 700 episodes. You are rock solid awesome! Please know – I appreciate your time and attention so very much – thank you for helping us get better each and every day. And I am thrilled that we crossed another milestone with 700 episodes – and we are continually pushing forward and doing an even better job in how we look to serve you the best going forward this year. I wish you a wonderful rest of your week and look forward to having you back tomorrow for another great interview with one of today’s top business owners.